This post has been a few months in the making. I planned to post this in November, but to cut a very long story short – writer’s block. Thai Holy Basil is different than normal basil that you can find in Europe. There are many varieties, and my mother-in-law has one growing in her pot at home that is quite similar – small leaves and very strong. 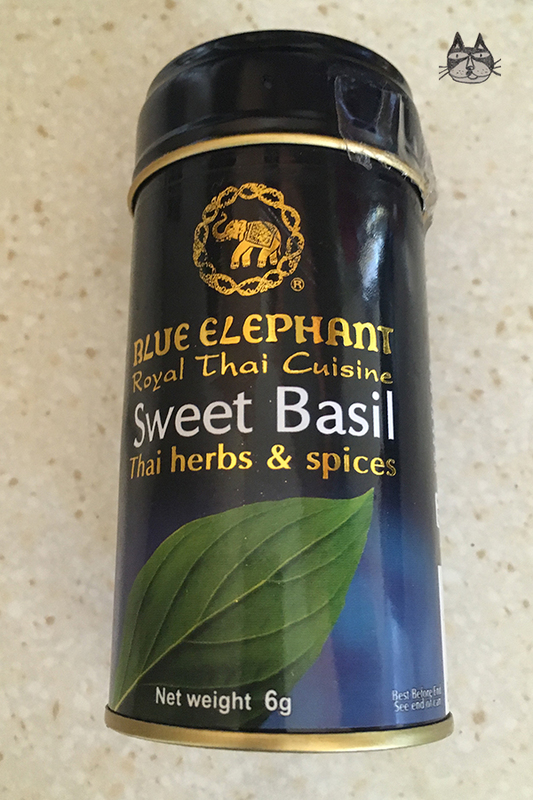 You can use any type of basil that you find, preferably the Thai version if available. 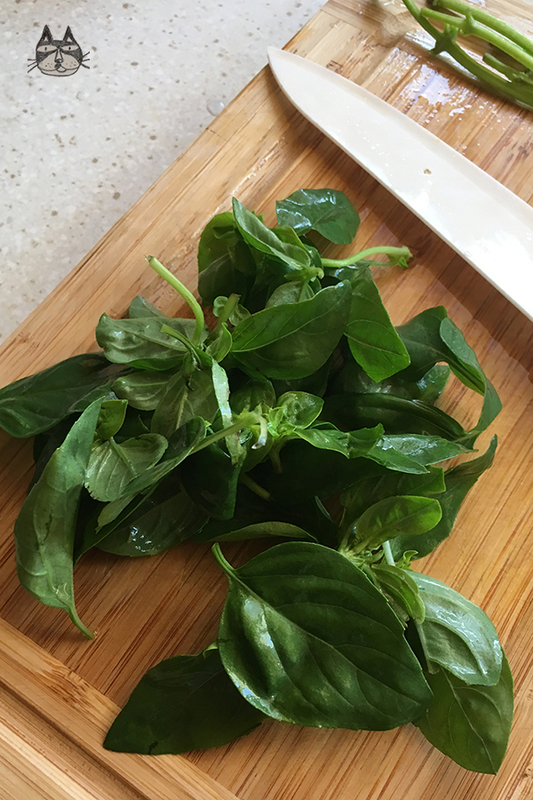 I have used some dried Thai basil that I brought back with me from Malaysia, and also a small handful of fresh basil that I bought from the supermarket. The chillies are the important ingredient here – for the heat ‘kick’ you should use Bird’s Eye chillies. 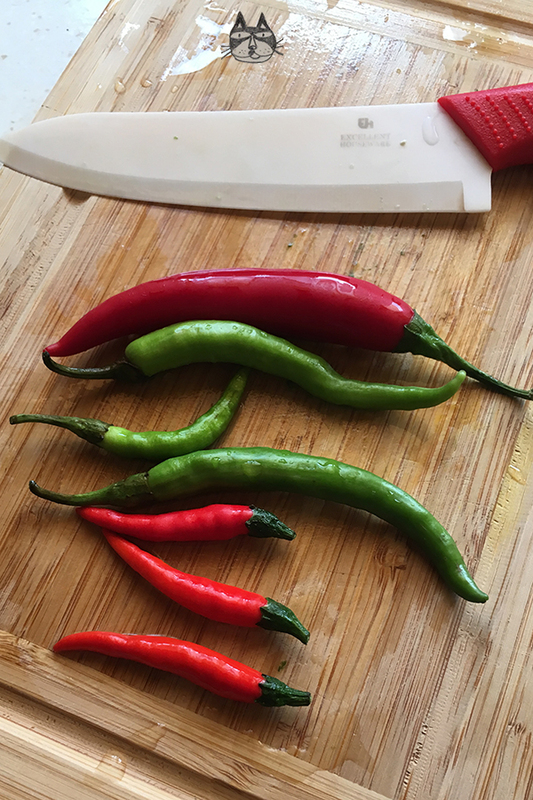 Different chillies do have a different ‘piquant’ flavour to it – I use a normal red chilli and also 2 small green chilli peppers that add the bell pepper flavour without the heat. To lessen the burning sensation, you can also scrape off the seeds from the chillies, and discard them. By only using the flesh, you will add the flavours of the chillies without the excessive heat. Be daring, be brave, but know what your limits are! a big handful of fresh Thai (or holy) basil. Alternatively, you can use normal basil too. 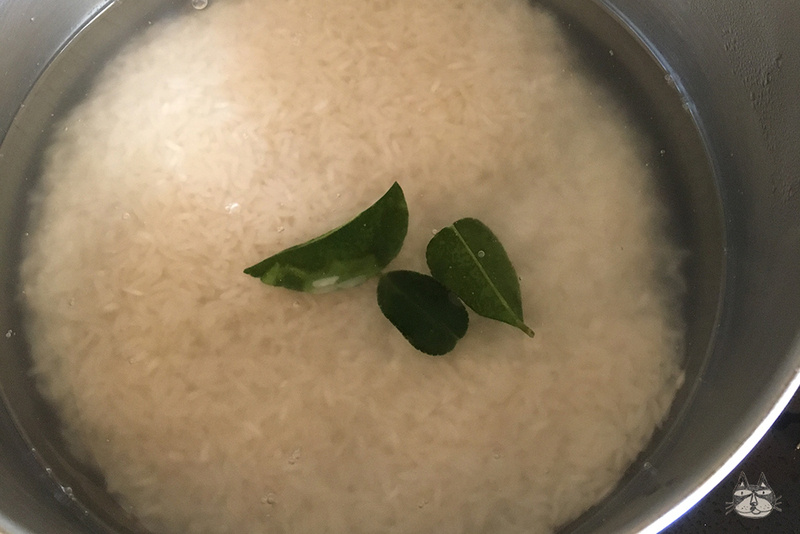 optional: 1 tsp of dried Thai basil leaves. Prepare the sauce: In a bowl, mix the lime juice, soy sauce, chopped chillies and the coriander (if using). Mix well, and set aside. For the beef: In a hot frying pan (or a wok), add the oil and heat the oil. Fry the minced beef until it starts to slightly take colour. Add the chopped garlic and cook until the meat has started to fully take the ‘cooked meat’ colour. There will still be meat juices. Before it starts to dry out, this is when you add the chillies and sugar. When the meat has started to turn crispy at the edges (starts to dry and fry crisp), add the fresh and dried basil, soy sauce and fish sauce. Cook until the meat has a dry texture. Taste, and season with white pepper, and/or salt, to taste. 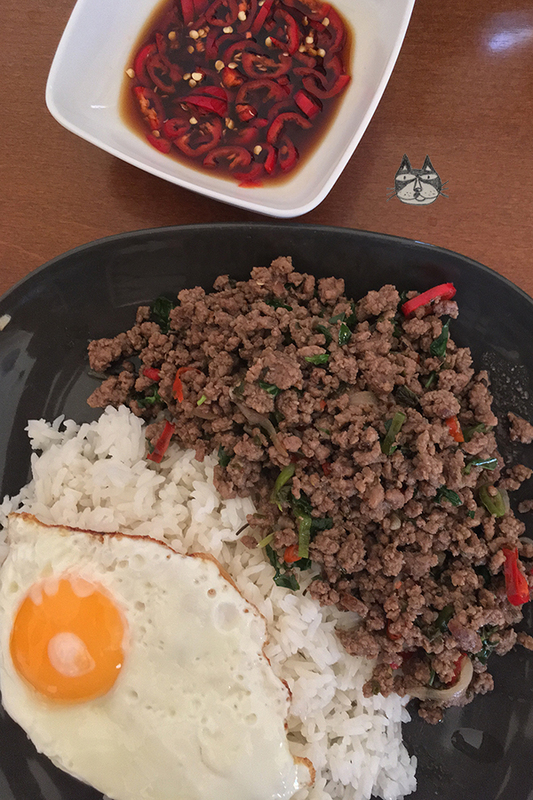 Serve on a plate with a portion of steamed rice and a fried egg by the side. Don’t forget the sauce! 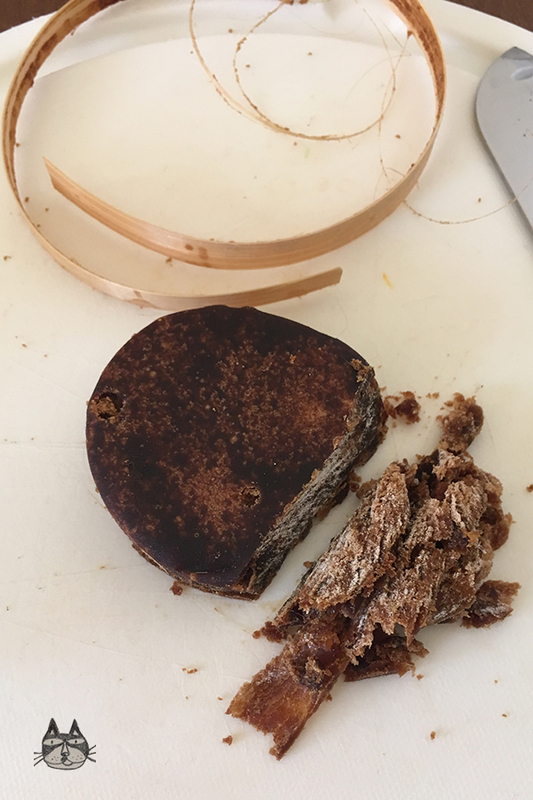 You can spoon that on the meat, just before eating.